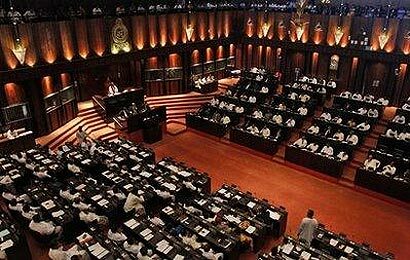 The UNP yesterday proposed in Parliament that a full day be allocated for a debate on the unprecedented electricity tariff increase. Acting Opposition Leader John Amaratunga, making a special statement, said that the recent power tariff hike was bound to have a far reaching impact. Full text of Amaratunga’s statement: “As it is, the people are being crushed by the spiraling cost of living, on top of which the Government has decided to raise the electricity tariff, that in some instances is as high as 70 per cent. The worst affected by this are those consumers at the lower end of the scale. “Is it the policy of the government to confine the poorer to dark lives while allowing the richer to enjoy luxurious air-conditioned and well-lit lives? “In fact, the poorest of the consumers, living in small houses, pay an increase of the tariff as high as 75 per cent. The middle income people pay an increase of 50 per cent while the very rich, who live in air-conditioned luxury houses, pay a meagre increase of less than 25 per cent. “It was reported that the Ministers, who live in official bungalows and who pay a maximum of Rs. 2,000 only, irrespective of the amount of electricity used, were now asking for relief for themselves. “This increase is bound to affect every activity since today there is hardly any economic activity that is not dependent on electricity. The petrol that is pumped into our vehicles is not hand-pumped. The baker’s oven is electricity driven. The dentist no longer uses a foot pedal as in the old days. All of them will then have to increase their rates if they are to continue to be economically viable. This will then add to the already spiraling cost of living. “I predict that very soon it will be not electricity that the poor people will enjoy, but the heat of the electric chair. “On the other hand, is this the result of complete mismanagement and corruption of the Ceylon Electricity Board and an attempt to over up their sins? “In addition, it is reported that reservoirs are being deliberately emptied in a sinister move to help private electricity generating companies. “In such a situation, the commercial investors have warned that they will have to shut down their enterprises resulting not only in loss of production, but also in a mass unemployment. “Hence, will the Minister concerned enlighten this House as to the basis on which this increase was effected and the formula that was used and explain how in some instances the increase was only 30 per cent while in other cases it was as high as 70 per cent? Also, will she inform what relation this has to the price of oil in the world market? “Why is the Minister not making statements, but rather depending on the Minister of Mass Media to make statements on her behalf? “What does the Government propose to do for the people suffering from the increase in the electricity tariff?